Two teams from Illinois Tech participated in the VandyHacks and DemonHacks hackathons. 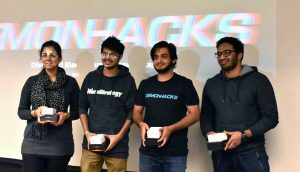 The VandyHacks team, comprised of Zeshan Sayed (ITM), Ahmed Sayed (CS), Akshatha Kadri (CS), and Abhishek Kumer (CS), took overall first place (among 71 teams) with their Intellectual Credit Repository ICR project. The ICR is designed to predict a bank’s decision on customer credibility for a loan, using real time FICO scores. This decreases banks’ response times to their customers. As a prize, they each received their very own Raspberry Pi 3. 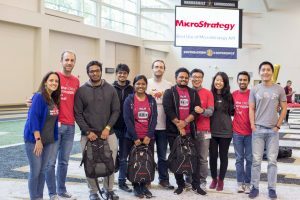 The team also won first place for best use of Micro Strategy API, winning the opportunity of an on-site interview with MicroStrategy and tickets to an event in the Capital One Arena with access to MicroStrategy’s suite. The suite features unlimited food and drinks for each participant. Zeshan Sayed (ITM) and Ahmed Sayed (CS) were then joined by Syed Hamdan Sher (CS) and Poonam Johl (CS) the following week to compete in the DemonHacks hackathon at DePaul University. They worked on a project called SafeTrack, which allows a user using a pebble watch to send their location via voice command to dispatch services and emergency contacts when in danger. SafeHack won first place in the overall hackathon and $100 per team member. 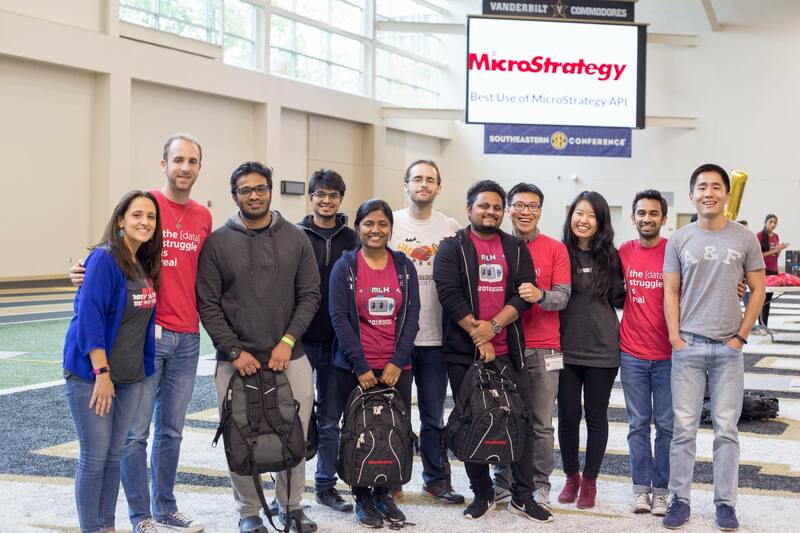 The group also won first place for best IoT hardware hack and for best idea for Public Safety for Motorola Solutions, Inc., winning each member a 410C Dragonboard, $100, and the opportunity to present their project to Motorola Solutions, Inc. next month.